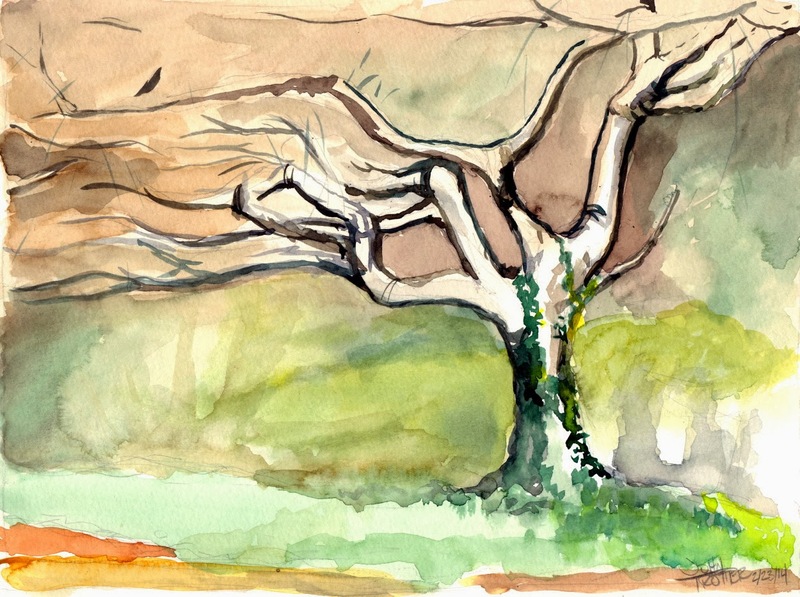 Paintmonkey Studios: First Plein Air of the New Year! First Plein Air of the New Year! Thanks to the psychotic weather this year we are a little over a week out from being snowed in last week and today it was 70 degrees out. So I took advantage to get in the first outdoor painting of the year! There is a tree next to where I park at work that I am obsessed with. It is a gnarly, bent, kudzu covered old thing that is just fascinating. This isn't the first time I've painted it and it probably won't be the last (perhaps a nice pen & ink?). So I did that this afternoon. Aaaaah! I Wasn't Sleeping...I Swear!